Eleanor, a literature graduate with a passion for the old legends, is lost and feared dead when she becomes separated from her group on an expedition in the Icelandic Highlands, but emerges out of the wilds nine days later with stories of the huldufolk. Ódinn, who has committed crimes in his own world and has been cast out to walk the world of men for all eternity, desires to return home. He enlists the help of Charles Ancell, a young, ambitious, aluminum developer to build a revolutionary new factory in the Icelandic Highlands to provide cheap metal. The techniques used will break apart the fragile bridge between the worlds. As a consequence of this our world and its climate is set to change irrecoverably. 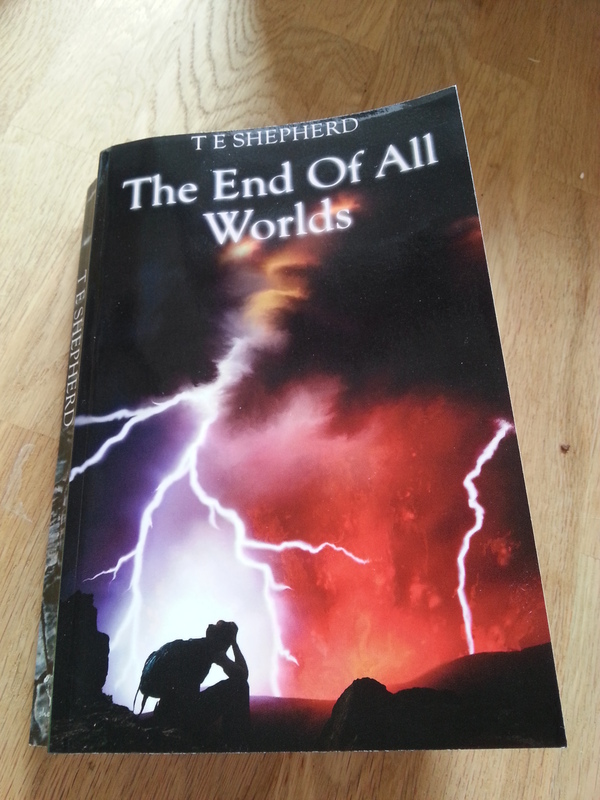 Having finished The End Of All Worlds by TE Shepherd, I am now struggling a little with how to review it as it isn’t like anything I’ve ever read before which I think will probably come across in the review! It isn’t the type of story that I would generally choose to read and feel I owe TE Shepherd and apology as I’m sure someone who had read and loved Lord of The Rings, for example, would be better placed to give this review. The story follows several ‘clusters’ of characters and often jumps between them to show different things happening simultaneously which is unusual and felt at times like it was possibly written a little in style of a film script? Not a book to be dipped into and definitely not a light read. This is an in depth read that needs to be given your full attention if you are to keep track of everything that is happening as the story dips between present time and other times as well as differing simultaneous activities. It describes Iceland beautifully and has opened my mind to world of ‘hidden folk’ of which I would otherwise probably never have heard of. The ending seemed to rush up upon me and the actions of some of the characters surprised me greatly. Personally though I think it’s always good for a story not to be predictable. I think I got a little muddled with events in places but there is a handy guide to the characters at the start of the book. It always worries me when I see those in books though as it tells me that I am going to need my wits about me! The little illustrations throughout the book are delightful and show that Mr Shepherd is clearly a very talented man. I found it difficult to gauge the age range that the book is aimed at and am still not 100% sure which makes it difficult to know who I would recommend it to. However, I think anyone who enjoys mythology and folklore would get a lot out of this book and I’d love to read a review from someone who regularly reads this genre.